These pills are formulated to help relieve stomach discomforts and relieve pain and supports healthy gastrointestinal function. 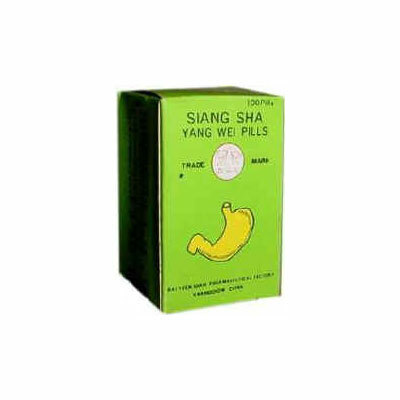 Gastrointestinal weakness, indigestion, discomfort in the chest area, gastroxia, vomiting, loose stool or diarrhea, low energy, poor appetite, stomach distension, burping, heartburn, nausea. Acute or chronic gastritis (including ideopathic) and gastric or duodenal ulcer. These pills are formulated to help relieve stomach discomforts and relieve pain and supports healthy gastrointestinal function. Nourish Qi, strengthen the stomach, remove food mass, relieve stomach ache, improves digestion, relieve flatulence. Gastrointestinal weakness, indigestion, discomfort in the chest area, gastroxia, vomiting, loose stool or diarrhea, low energy, poor appetite, stomach distension, burping, heartburn, nausea. Acute or chronic gastritis (including ideopathic) and gastric or duodenal ulcer. For adults, take 7 to 8 pills, 3 times a day.